We haven’t done one of these in a long time. Thanks to Fred for sending this in. 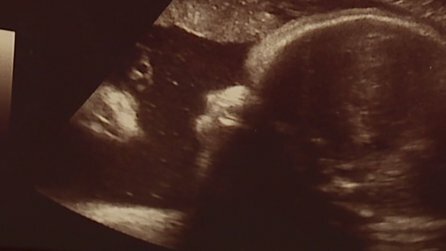 Expectant parents look into a sonogram and inadvertently learn about pareidolia. CHAMBERSBURG, FRANKLIN CO. Pa– An expecting Franklin County couple saw an unexpected image in their baby’s sonogram. They say the clear image of a man watching over their daughter is offering them a sense of relief. Looks more like Edgar Allan Poe to me. And yet….let a random bearded man approach their daughter a little too closely in public someday…. That’s just Tommy Chong. He wants to be buds. Jesus or Snake Plissken? YOU decide.